Teacher’s Forum › Category: Questions › What are your thoughts on school choice in Ontario? Do you believe it would enhance our public education system? Teachers are the heart of school life. 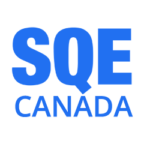 SQE is interested in hearing about their experiences, challenges, and ideas. We’ve created a forum here that will give you a safe space to anonymously post your feedback. (Please note that an email is required for posting purposes, but need not be functional). Every Monday, we will post an idea followed up by a question. We hope to engage you in active, respectful and passionate discourse. School choice is a term used to describe an alternative to government-run schools. It could include a wide variety of public funding models such as school voucher programs or charter schools. Alberta is the only province in Canada that currently provides an option of charter schools. We believe both students and teachers could benefit from such a model, and would like to hear your feedback. I’ve been teaching for a long time and I’ve had the privilege of teaching abroad as well as in North America. I’ve taught in public, private and charter schools. I agree with parents and students having a choice. Parents should have the right to choose where to send their child, and choice will increase teacher/school performance via competition of enrolment. There is nothing wrong with healthy competition between schools and students should have the option of attending the school that meets their academic and emotional needs best. Choice will lead to a better education system in Ontario. Choice will eliminate discrimination of certain groups as well as funding/non funding of school options. Pro-Union teachers won’t want school choice. Charter school teachers aren’t part of unions. This would be a move away from union teachers and away from seniority based hiring/compensation. Only the cream of the crop teachers would embrace this model. Personally, I’m all for it, but sadly there aren’t many teachers I know that would embrace this. Plus, the uinions would never allow this and there isn’t a politician that has the balls to take on the uinions. The unions single handedly put politicians in positions of power. It’s a great idea, but unless parents demand it and a brave and transparent politician is willing, School choice will never happen. I agree with both sides, but more importantly, we need to shine a light on the teachers in the classrooms. As long as we are looking at equity and fairness and banishing discrimination, shouldn’t we talk about hiring practices of teachers in Ontario? Teachers are being hired based on seniority, religion and race. What would happen if we simply hired the best teachers and gave these teachers a voice? Like students, not all teachers are equal, and yet they are paid the same and hired solely based on seniority? As a teacher and a father of two young boys, I would like to appeal to parents and politicians to work together to create the best schools and hire the best teachers in Ontario. We can’t have the BEST teachers in front of students in Ontario as long as Regulation 274 exists. Hiring based on seniority is outdated, discriminatory and ineffective. In no other profession would this be tolerated. It’s most unfortunate that the unions have such power to keep this in place. It is detrimental to the students and our education system in Ontario. Imagine if Kathleen Wynne or Trudeau put the kids in Ontario first? Regulation 274 would be abolished. It is shameful and an embarrassment that such a regulation exists. It prevents principals from hiring the best teachers. It also prevents teachers from moving from one location to another in Ontario as they are forced to start over at the bottom of a supply list. It is outrageous and goes against everything Kathleen and Mitzie spout about education. AGREED! I am sure that Kathleen, Justin, and Mitzie are ashamed that this Regulation is in place. But, what can they do? Don’t they have any power over the unions that put them in power? Nope! Even the teachers that disagree with this can’t change anything. The unions have become the dictators in Ontario. It’s disgusting and EVERY politician is afraid to touch school choice or Regulation 274. What an embarrassment! I am a public school teacher in Ottawa, Ontario and this is why I send my own children to private school! NO UNIONS or Regulation 274. My children have the best teachers because they aren’t part of a union. If the teachers aren’t exceptional in the private system they are out, not protected by a dictator (union). Private school numbers up in Ontario, public enrolment down: Fraser Institute study reports. This will only increase while the unions are in control and politicians are afraid to address these issues. In a 2012 poll by Ipsos-Reid, two-thirds of Canadian parents said they would take their children out of the public system and send them to a private school if they could afford it. than quadrupled," Van Pelt said. qualities in a private school." survey reflect dissatisfaction with the current public school system." Enrollment in public and Catholic schools is declining each year. Enrollment in private schools is increasing each year. Hey, Kathleen Wynne – want to win my votes? Be brave enough to start a conversation about school choice, improving education and merit-based hiring in Ontario! You might not get many teachers voting for you, but you will gain A LOT of respect for doing what is right for the students in Ontario. End the discrimination in schools, boards and of teachers and students. As a retired teacher, I know change is long overdue!